If you have Wasp pests in the Bristol area, we can help you identify and exterminate the wasp problem or even control your residential wasp problem. The wasp pest around Bristol can be a serious threat to people's health should they have an allergy to wasp stings. Although the wasp does not carry disease, the wasp sting will certainly leave its mark and wasps can sting multiple times. Wasp nests near or even in the home can be a serious pest problem and should be tackled by professionals. A typical Bristol wasp nest could contain up to 1000 or more wasps. Wasp nests are built by wasps chewing wood into paper type material. What can we do to prevent or control your wasp pest problem around your domestic home? Approach a wasp nest with caution. 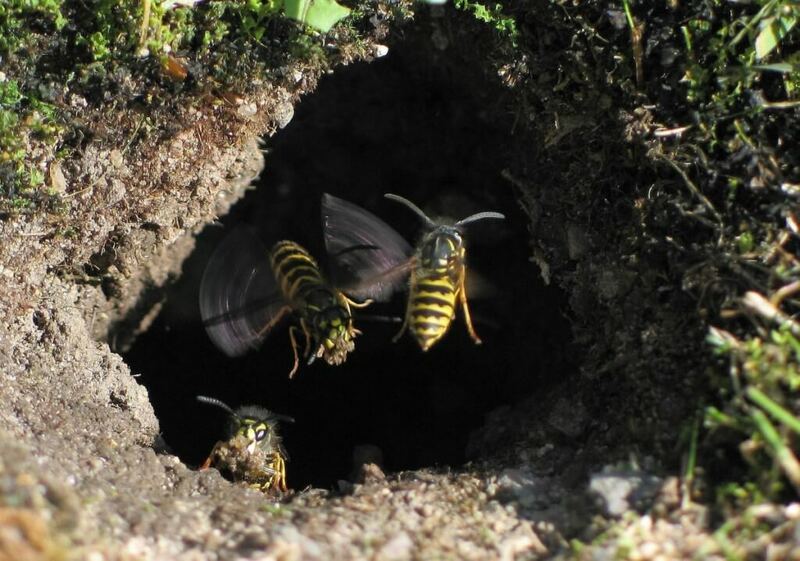 Some nests in the UK have reported to house up to half a million insects. These insects can attack when provoked and their stings can be fatale to some, sending them into anaphylactic shock. We will use the best wasp extermination methods currently employed by our wasp removal experts and will deal swiftly with your wasp pest problem, whatever time of day or night.